Years of hard work in school finally pays off by graduation from high school, universities or specialized college. As your graduation planning begins, the party plans become a reality. Inviting family, friends, neighbors and co-workers to the special event to honor you or someone else that is graduating. To make the event even more special graduation party favors can be ordered to be given to every person attending the ceremony and celebration. Sobelle Favors makes the most unique party favors that are imported fine chocolate individually wrapped for any event including graduations. 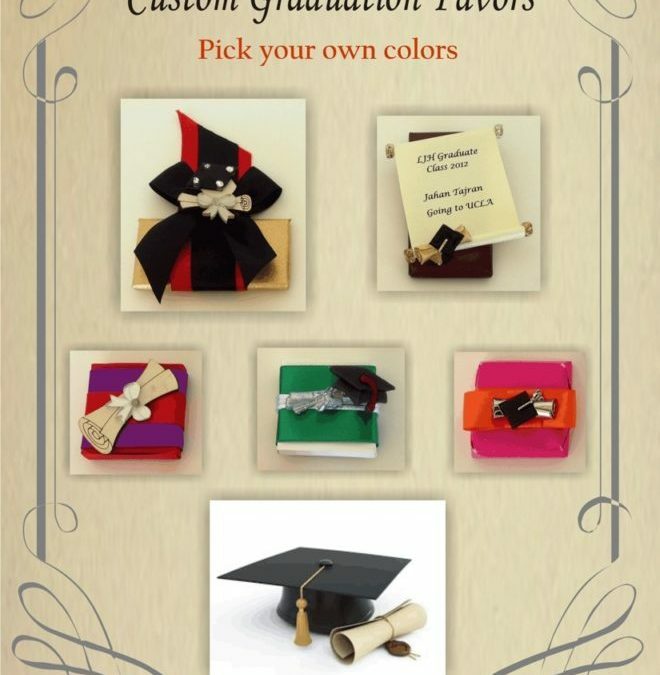 These graduation favors are something all your guests will not forget because they are specially made per your request. 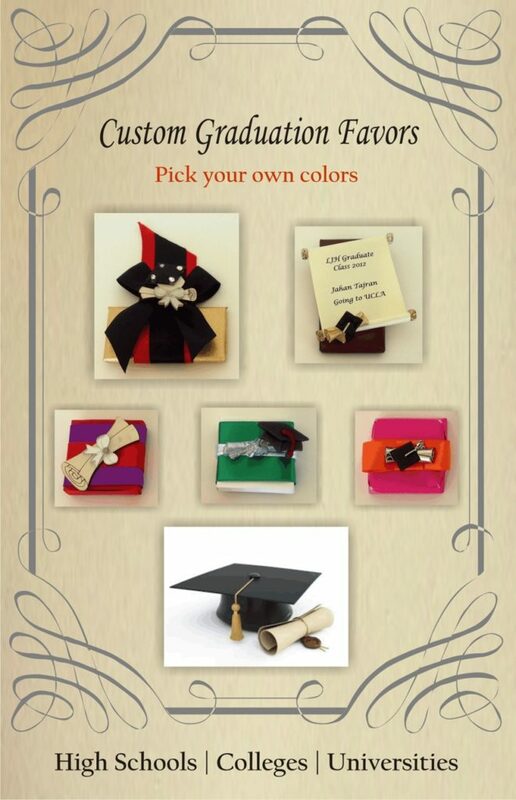 The favors can be made to match your school colors and any design you choose such as graduation hats and tassles, diplomas, graduating year, school mascot or any other significant symbol that represents your school and/or study. Make sure to place your order early to take advantage of these customized specialty favors.